A prenuptial agreement, also referred to as a premarital agreement, antenuptial agreement, marriage contract or simply a prenup, is a legally binding document agreed upon and signed by the couple in contemplation of marriage. It is one of the most commonly used methods to protect one’s assets prior to the “big day,” in the unfortunate event of a divorce. The agreement will provide specific terms that will govern the relationship as well as a possible future breakup, particularly the distribution of assets. Within the prenup, each party must accurately, and honestly, disclose their pre-marital assets and liabilities. Then each party will agree on how to divide the assets in the event of a divorce. In such cases, one party may ask the court to enforce the agreement, and the other party may seek to invalidate it. Generally speaking, the court will not enforce such agreements if there are signs of fraud, duress and/or misrepresentation of assets and liabilities, or if the terms are patently unfair and unreasonable under the circumstances. Each party should have their own independent legal representation to assist in drawing up or reviewing the prenup. There have been times when the court has invalidated a prenup due to unfairness, because one spouse had a lawyer while the other did not. Fully disclose all of your assets and liabilities. Full disclosure is imperative. A prenup can be set aside if there are any signs of fraudulent or deceitful representations. There must be no evidence of duress or undue influence. Your spouse cannot feel as if he or she were forced in any capacity to sign the agreement. An ironclad agreement should be signed well in advance of the wedding. Presenting a prenup days before the wedding is frowned upon, and may be evidence of duress. Avoid frivolous, bizarre or unreasonable demands. Stipulating that your wife must lose weight or that your children must be raised as circus clowns will not be viewed favorably, nor will a prenup that is too one-sided. It must be fair and reasonable. Follow the proper legal procedure. A prenup is a legal document, so it should be a formal writing signed by both parties. A prenup scribbled on a napkin will not suffice. Lastly, it is important to keep these last two tips in mind. First, a prenup does not supersede a will, and a will can be more generous than a prenup, thereby leaving the spouse with more than the agreed upon prenup. Second, review and update the prenup every few years. A spouse may be inclined to alter the division of the property after a few years of marriage. Pre-nuptial agreements must be drafted carefully, or the validity of the agreement can be challenged. If the agreement is found invalid then the agreement will be unenforceable, and the traditional state laws will govern. 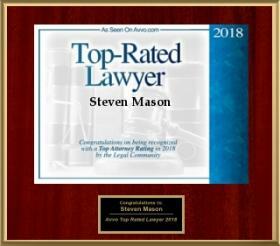 This could, for example, result in a spouse receiving half of the marital assets and half of the appreciated value of non-marital assets, and more. If you are considering a prenup, you should hire a lawyer to ensure that it is valid and will hold up in court. 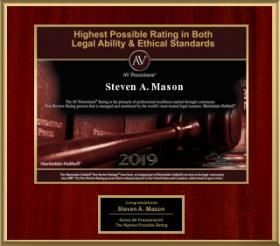 Experienced family law attorney Steven Mason can use his advanced legal training to make sure you make the rightl decisions to protect your assets in a prenuptial agreement. 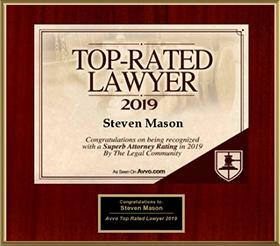 Contact the Fort Lauderdale/Hollywood based Law Office of Steven A. Mason, P.A., today for a confidential consultation.